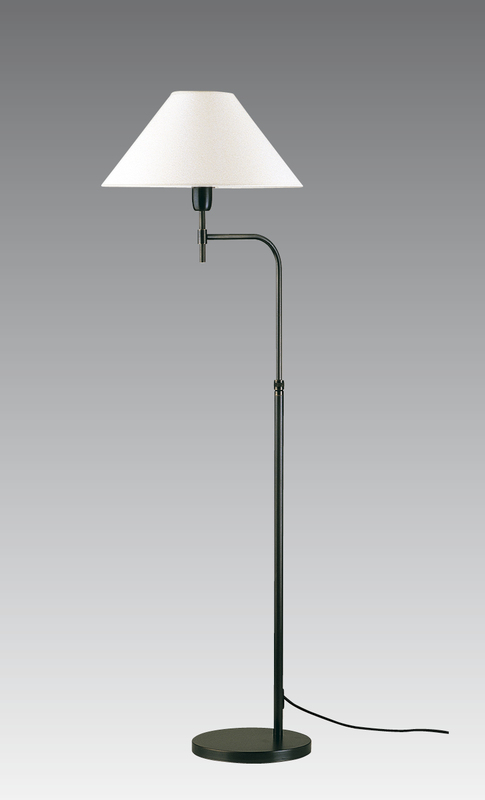 Reading lamp, adjustable in height with swivel arm and round shade. Foot switch. 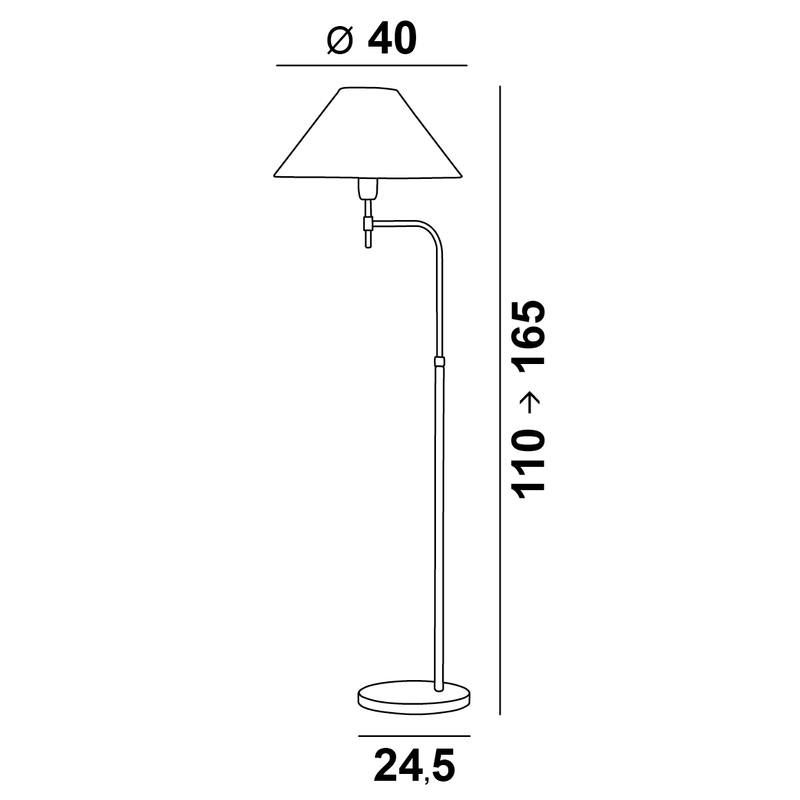 The conical shade diffuses a light obliquely to facilitate reading. 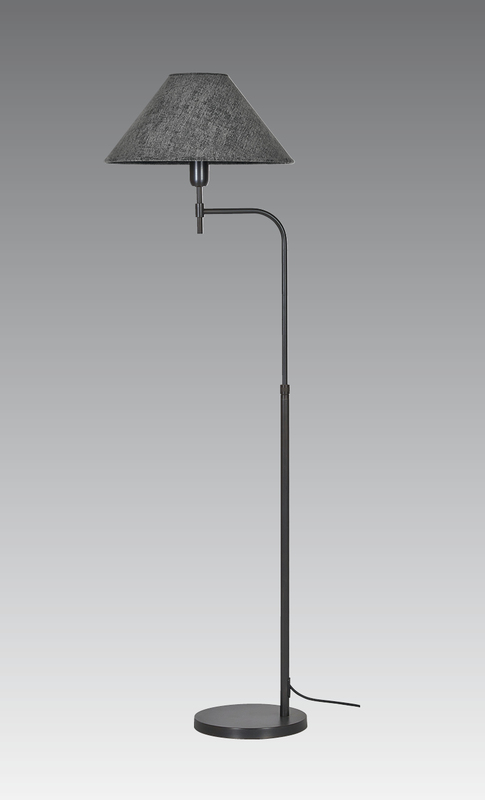 Classic contemporary design.